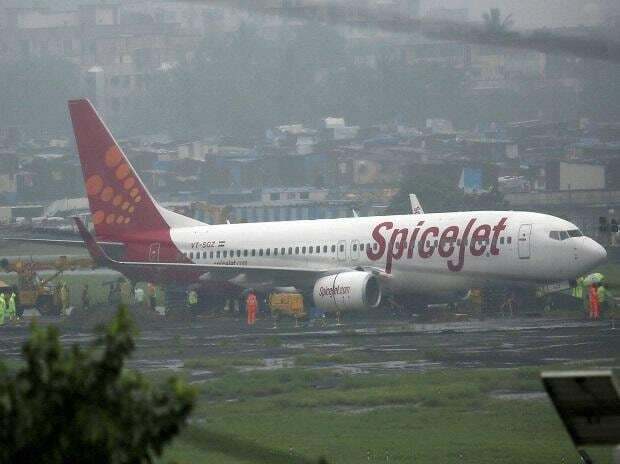 Budget carrier SpiceJet posted a net loss of Rs 380.6 million in June quarter, on higher fuel cost, weak rupee and a one-time provisioning of Rs 634 million. The Gurugram-based no-frills airline had posted a net profit of Rs 1.75 billion in the same period last year. Its net income rose 20 per cent to 22.77 billion in the reporting quarter, compared with Rs 18.86 billion in the year-ago period, the airline said in a regulatory filing. SpiceJet is the second domestic carrier to have announced earnings for June quarter so far. Earlier rival IndiGo also reported a whopping 97 per cent erosion in net profit to Rs 0.27 billion, from 8.11 billion in Q1 FY18. SpiceJet's fuel bill rose to Rs 8.1 billion during the quarter. The company has taken a provision of Rs 635 million as an exceptional item on account of an arbitration award that cited interest payable of Rs 925 million and interest receivable of Rs 290 million, it said in a release. "SpiceJet has delivered yet another operational profitable quarter despite surging oil prices and a weak rupee. As we start inducting the new fuel-efficient B737 MAX and the Bombardier Q400, we will be able to significantly reduce our overall costs even as we aggressively expand our network both in India and overseas," said Ajay Singh, chairman, SpiceJet.